Today I introduce you to Easy Chicken Meatball Soup. It takes only about 15 minutes to cook so is great to add as one more dish for weekday dinners. You can use any kind of ground meat that you have in your refrigerator. I sometimes add tofu to my meatballs recipes but in this recipe I use only ground chicken so it is very juicy and flavorful!! It is low calorie and low fat dish. This dish makes you warm, gives your metabolism a boost, and helps improve your immunity so it is great to help you recover from sickness and get back a good appetite. Mix ground chicken and seasoning well, and cook in the soup. Categories: Chicken, soup | Tags: beauty, cooking, fitness, Food blog, fusion food, gluten free, Healthy, protein, Recipes | Permalink. Today I will introduce you to Ginger Chicken Crumble. This is a common recipe in Japan. We usually eat this chicken crumble with rice and sometimes put it in a rice ball. It is also great with salad, pasta and so on. The picture shows my original chicken crumble rice bowl which has sautéed spinach, pickled belle pepper, carrot with sesame dressing and poached egg. It is divine!! In addition you can store it in the refrigerator for about 4 days so this dish works well for you to add protein to your meal easily. In this recipe I use traditional seasonings which give the dish a savory-sweet taste. But because of the simple recipe, you can change the seasonings as you want. You can make it spicy, salty or curry flavor! Cook ground chicken and season. That’s it!! Categories: Chicken, Uncategorized | Tags: beauty, cooking, Diet, fitness, Food blog, fusion food, gluten free, Healthy, protein, Recipes, weight loss | Permalink. Today I introduce you to “Japanese Fried Chicken with Egg Drop Dashi”. 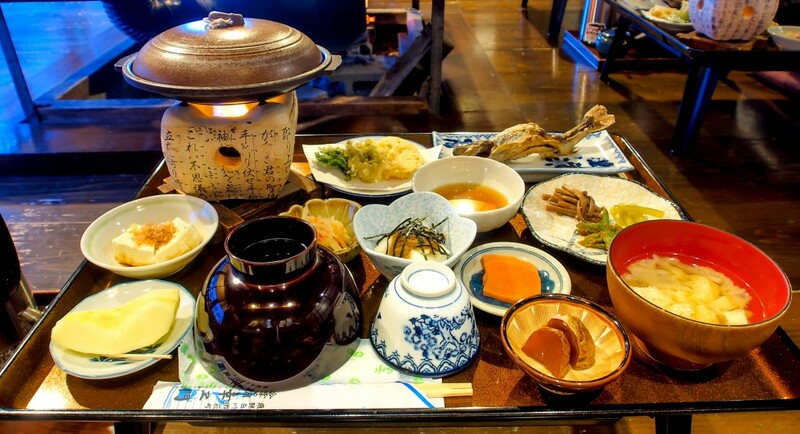 This is a very delicious dish and is a popular dish in Japan. It is fried chicken breast in an egg-drop Dashi soup. Japanese fried food has very thin batter and a crunchy texture. We add the soup to the chicken right before we eat it so that we can enjoy the flavorful soup and crunchy fried chicken together. Mostly the dish is put on steamed rice so it is called Donburi. It provides carbohydrate and protein in one bowl so we usually have this during the busy lunch time. Fry about 5 minutes on each side. Slice and place on a plate. Heat Dashi stock, sugar, cooking Sake, soy sauce and Mirin in a pan and pour beaten egg in the boiled soup. Pour the egg-drop dashi soup on the fried chicken and sprinkle with green onion (to taste) right before serving. I used bonito dashi stock but you can use any kind of stock. This is a Japanese style dish so It would be better to use bonito, shiitake mushroom, kelp, or anchovy dashi stock if it’s possible. If you frequently want to add chopped green onion with a minimum of fuss to your dishes, here is a tip to store the chopped green onion. When you have time, chop some washed green onion, dry with paper towels, put in a plastic zipper bag and keep it in the freezer. Use within a month. You can add some to your dishes without defrosting. Categories: Chicken, Fried Chicken, Uncategorized | Tags: beauty, blog, chicken breast, cooking, Dashi, egg drop, fitness, Food, fusion food, Health, Lunch, Recipes | Permalink. Today I will introduce you to “Homemade Chicken Teriyaki”. This is a main dish I highly recommend. It is a very popular dish all over the world because it is very flavorful and extremely delicious!! However, in my opinion in the U.S. the taste (from the sauce) is slightly different from Japanese Teriyaki. In the U.S. the Teriyaki sauce is too sweet by Japanese standards. I want you to be able to taste “Authentic Teriyaki,” which has a great taste and is not greasy. And also I want to show you how to cook juicy chicken using a pan. The tip is pan-frying and steaming. This makes the chicken soft, juicy and perfectly moist. The recipe is very easy. It takes less than 20 minutes. Cook chicken and simmer it with seasonings. Categories: Chicken, Teriyaki | Tags: Authentic Japanese, beauty, blog, Chicken, cooking, Delicious, dinner, Easy, fitness, flavorful, Food, Food blog, gluten free, Healthy, Japanese cooking, Japanese dish, Japanese food, Quick, recipe, Recipes, sweet savory, Teriyaki | Permalink. This “Chicken and Rice” recipe is a very popular dish in Japan. A chicken fried rice dish is seasoned with KETCHUP. In Japan, many kids love the dish and it is a great quick and nutritious meal for many adults! The recipe is so easy, quick and delicious! This dish also tastes good cold so it is a perfect lunchbox stuffer!! Saute the ingredients and add rice and ketchup. You can use any kind of vegetables and meats, and also you can add more or less ketchup to taste. Categories: Chicken, Rice | Tags: beta-carotene, carbohydrate, Carrot, Chicken, Delicious, Easy, Green bell pepper, Homemade, Japan, ketchup, kids, Lunch, Nutrition, Onion, Quick, recipe, rice, Vegetable | Permalink.